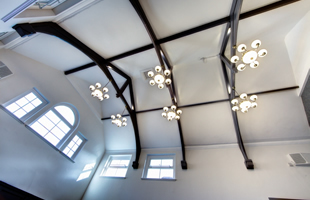 The Clervaux Exchange Conference and Business Centre - South Tyneside's Best Kept Secret. 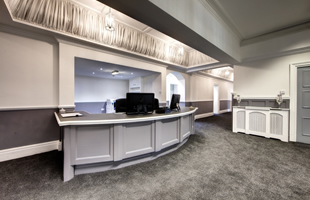 Prestige Office Space from only £350pm. 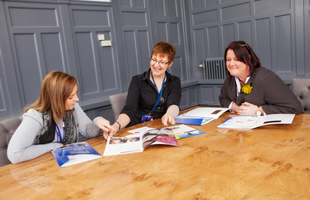 The Clervaux provides some of the best conferencing facilities on Tyneside with beautiful scale, ample free parking, state of the art ICT and majestic surroundings. Training events, promotional seminars, evening awards ceremonies and more can all be given the prestige they deserve at The Clervaux. 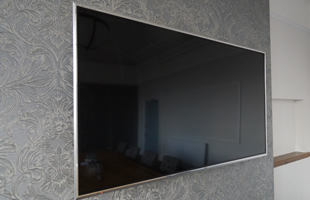 We boast one of the finest boardrooms in the North of England with a magnificent burr oak boardroom table and state of the art HD1080 screen and IP conference phone system. It has been meticulously restored to an immaculate standard with the best materials on the market. 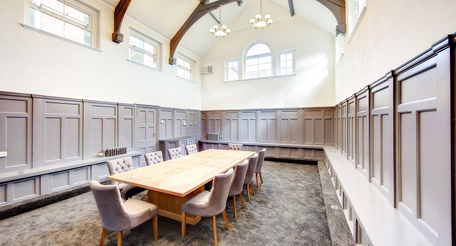 Add a touch of prestige and gravitas to your next quarterly reviews by hiring The Clervaux boardroom. We can provide full buffets, lunches, teas, coffees and bicuits to offer a one-stop service but, unlike many conference providers, are equally happy for you to bring in your own if you prefer. We'll support whatever works best for you. Call the office for more details and pricing. The Clervaux Exchange has the luxury of being extremely well provided for both in terms of accessibility, location and parking. All you guests can park free and with ease due to abundance of public parking in the immediate vicinity. Crucial for a smooth customer experience. 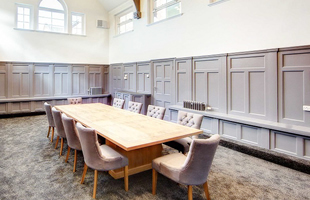 Residents of The Clervaux are given a half price discount when hiring the Grand Chamber, boardroom and meeting rooms. These world class facilities are there to help your business grow and reach its true potential. 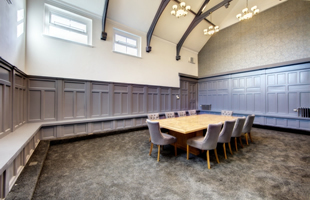 As a tenant you have immediate access to all of these communal features and it allows you to run events and seminars that you might otherwise not have the infrastructure to be able to put on. Each event spreads the word about your services and you'll find you pick up a handful of clients each time. Run them regularly and its a great way to steadily build your revenues and customer base. Never done one before? Not a problem, we've done lots. The Bureau, our in-house admin centre, are highly experienced at marketing these type of events and undertaking the event management. 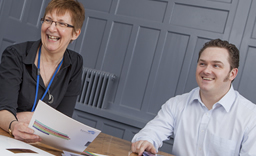 Use our templates and guides, or The Bureau can market your first one or two until you are confident of the processes and making sure the right people turn up. You simply pay for the admin assistance and it works out alot more cost effective than hiring external consultants. Together we can do it. Hire the chamber for your seminars and events. View The Clervaux layout and floor plans. Contains all info, prices and details of each package. Interested? Make an enquiry today. We strive to deliver a first class level of service that exceeds the expectations of our residents. If you have any questions about our products or services, please feel free to contact us. We have friendly, knowledgeable representatives available seven days a week to assist you. Subscribe to our mailing list for availability updates, news and more! © Copyright The Clervaux Exchange 2015. All Rights Reserved.